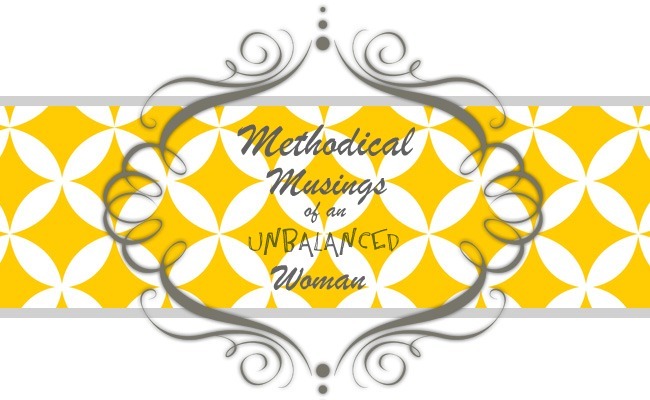 Methodical Musings of an Unbalanced Woman: Anti-Depressant Independence--I'm free! Hey Melanie- it's Jocelyn- I'M SO PROUD OF YOU- but I have to say- wow, that was fast! I've been just "shaving" pills for a month now. After attempting anti-depressant freedom before, the slower the better I hear, so I actually am taking it very, very, very slow. But actually, as of yesterday, I'm done as well. WHOOO! So congratulations to you. It's horrible, isn't it? (Coming off). At any rate, I was thinking of starting another blog called The Anti-anti depressant, with people's stories of coming off, tips on doing so successfully, etc. So I'm dying to hear from some of your other readers and from you. You've been a critical through this Journey I've been taking. Following your example has been key. Thank you! Jocelyn...thank you. That means a lot to me. Yeah...I have a good friend who is a drug rep and suggested i come off very slowly as well. I considered it. I really did. The truth is that I'm quite an impatient person and when my doctor suggested we do it in three weeks (with an understanding that the side affects and withdrawals could be bad but WOULD eventually go away) I jumped on board. For better or worse, that's what I did.